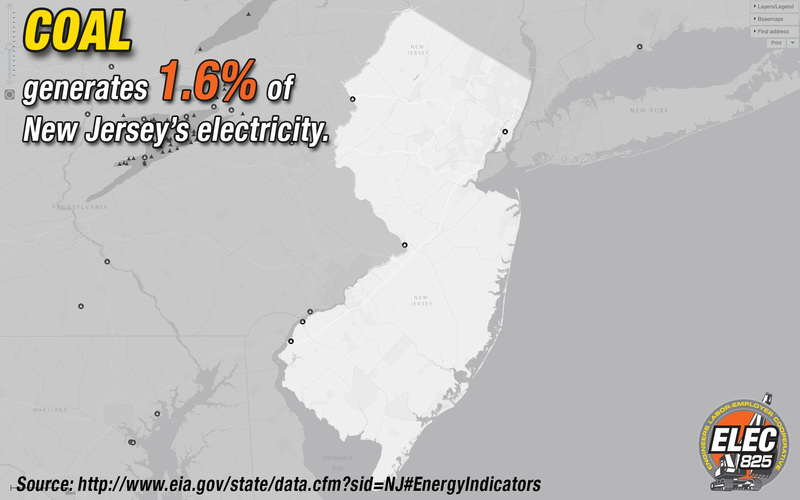 Where does NJ’s electricity come from? Every time you turn on a light, charge your phone, or fill up your car, you are tapping into an energy infrastructure that took decades to build. But do you know where the energy is coming from? Do you know where the electricity to run your refrigerator and television come from? We’ve all seen solar panels pop up all over the state in recent years. In fact, NJ is third in the nation in solar capacity, behind only California and Arizona, which is great. But what percentage of the state’s electricity needs are being met by solar and what other sources of electricity are being used in the state? What will likely surprise many of you is that fact that nuclear and natural gas dominate the electric mix. After all, there are only 4 nuclear power plant in the entire state–Oyster Creek, Salem Nuclear (2), and Hope Creek. Oyster Creek has been operating since 1969, is the oldest operating commercial nuclear power plant in the country, and is scheduled to be shut down Dec 31, 2019. When Oyster Creek goes dark, its power generation will have to replaced. There are talks about placing a new power station at Oyster Creek, and local and state officials are currently discussing those options, including holding public meetings. 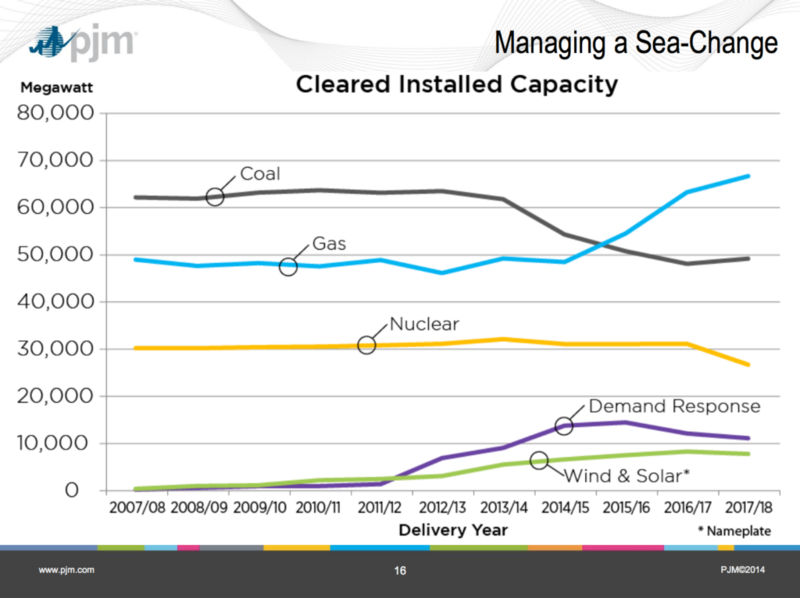 One place might be renewables. 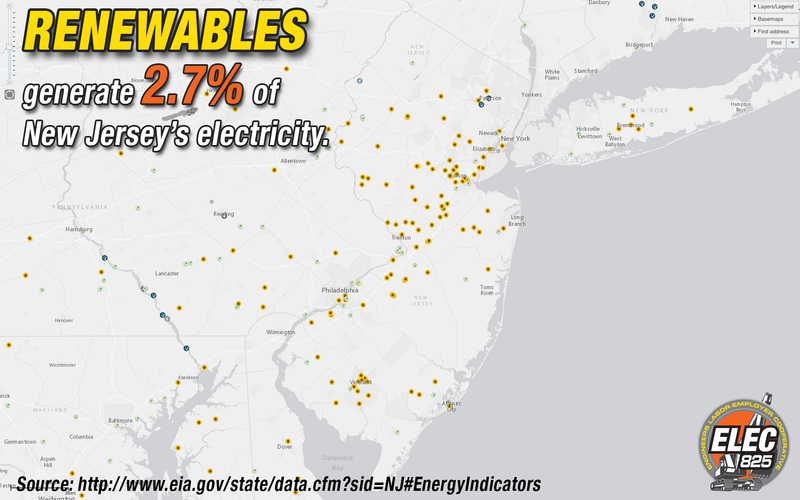 New Jersey has one of the most aggressive Renewable Portfolio Standards (RPS) in the country, with the goal of generating 22.5% of the state’s retail electricity needs via renewable sources by 2021 (read more about NJ’s RPS here) and an additional 4.1% by 2028. With news that the New Jersey is more susceptible as ever to rising seas, this makes sense. Making these kinds of long term decisions is part of the New Jersey Energy Master Plan. Started in 1987, the Energy Master Plan is written every ten years and updated every three years. The BPU recently had open hearings about making updates to the plan. 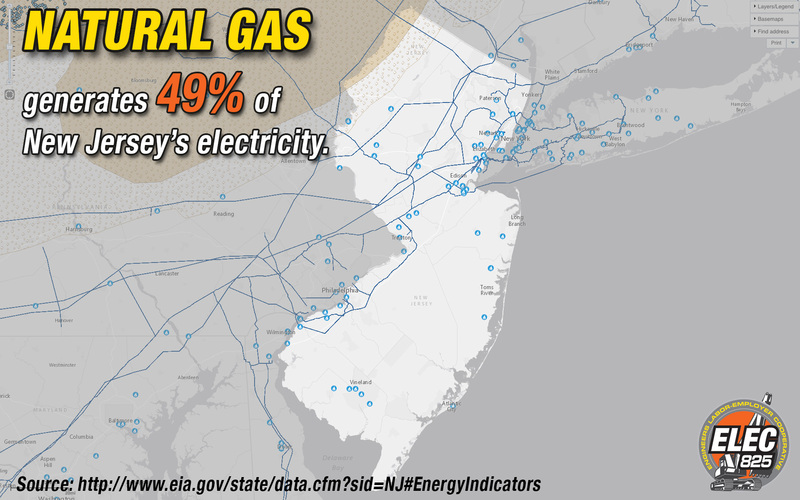 How we invest in energy infrastructure is critically important to quality of life in the state of New Jersey. So the next time you turn on a light or charge your phone, think about where the electricity comes from. 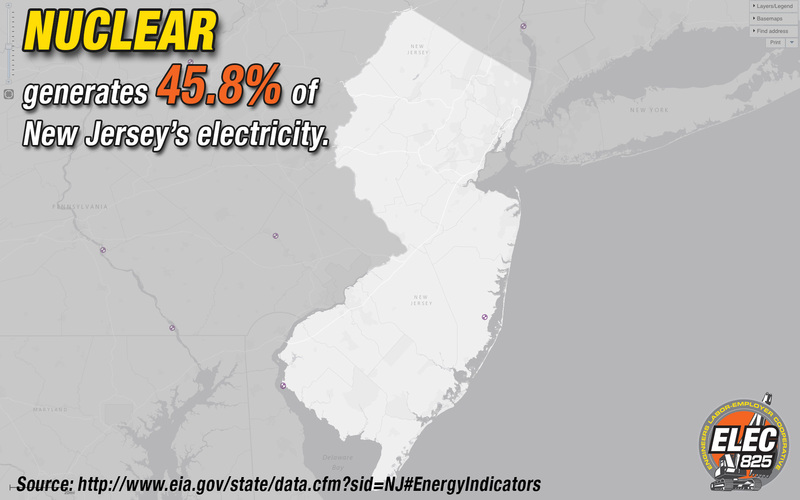 *New Jersey is part of the Pennsylvania, Jersey, Maryland Power Pool (PJM), an electricity grid that extends as far west as Illinois and as far south as North Carolina. 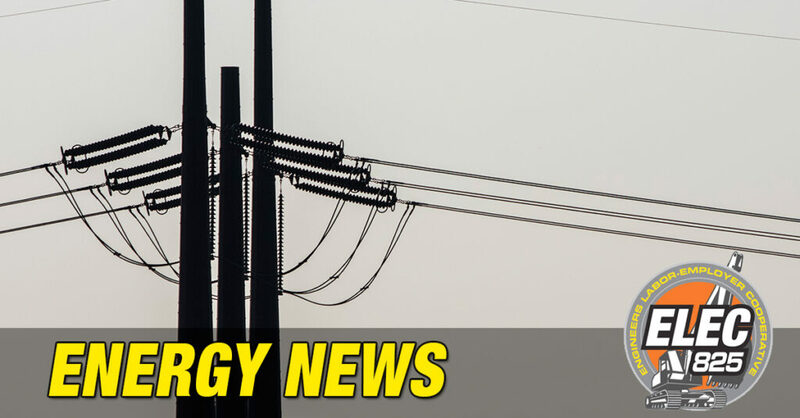 What this means is that the electricity that you use in New Jersey is not necessarily generated in the state; it is electricity generated somewhere within PJM and distributed as needed. The PJM helps load balance during periods of high demand and as power stations are taken offline for maintenance, de-commissioning, etc. Source: “Grid Resilience in the Age…of Severe Earth and Space Weather”, Terry Boston, President & CEO PJM Interconnection, Power Grid Resilience Forum, September 10, 2014. So while there has been resistance to natural gas pipelines, the fact that it has replaced coal should be remembered. NJ.com/Heavy thunderstorms bring flash flooding, hail to much of northern N.J.